1. Preheat oven to 120 degrees Celsius. Line 2 baking trays with baking paper. Draw 4 x 12cm circles on each sheet of baking paper, leaving space between each circle for spreading. 2. Use an electric mixer to beat egg whites, cream of tartar and vanilla until soft peaks forms. Add sugar 1 tablespoon at a time until sugar dissolves. Mixture should be stiff and glossy. 3. Spread the mixture evenly among the circles on trays. Bake for 1 hour. Turn off oven and leave meringues to cool in oven with the door slightly ajar. 4. 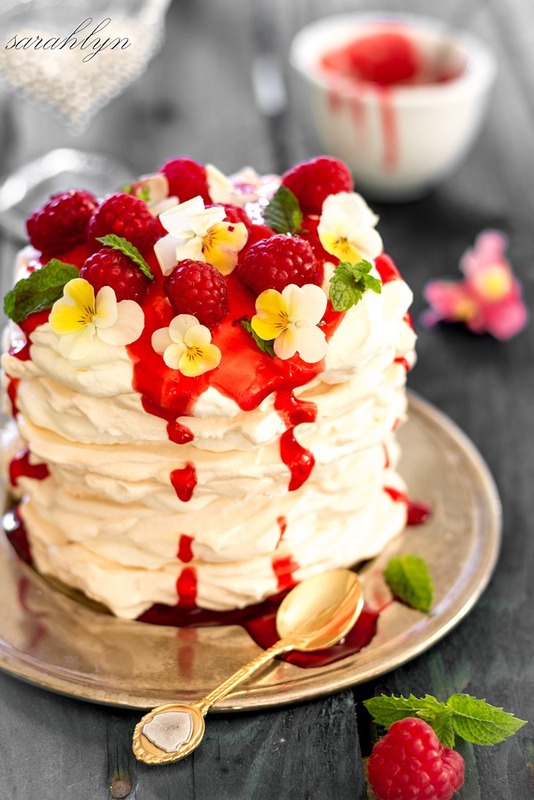 Spoon a little of the whipped cream on a meringue disc and top with another meringue disc. Repeat until the stack is 4 discs high. 5. 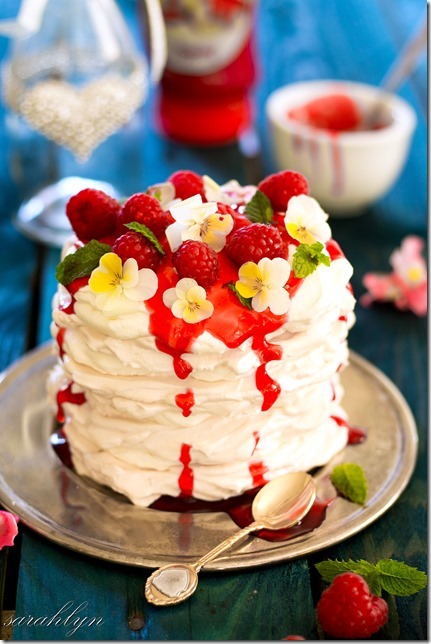 Finish with whipped cream, top with raspberries and drizzle the strawberry topping over the meringue stacks.